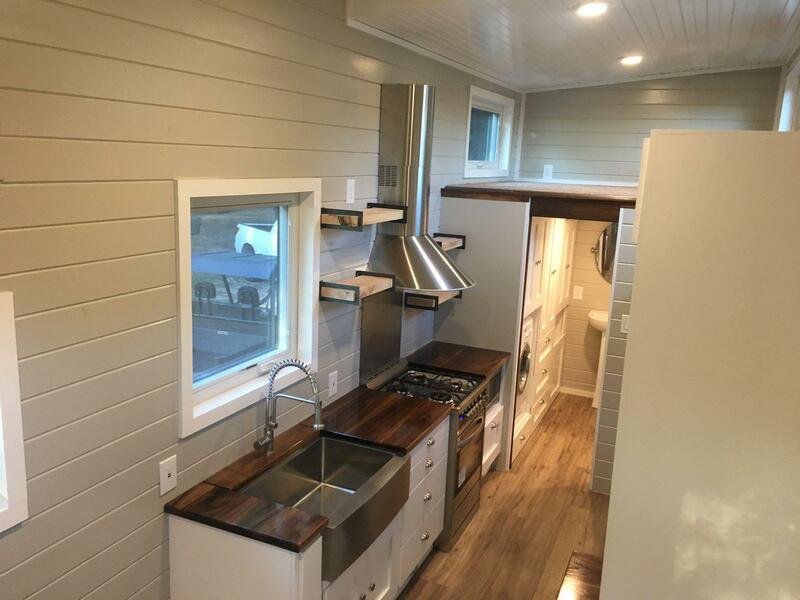 At 255 square feet, this tiny house on wheels offers spacious rooms and plenty of storage. 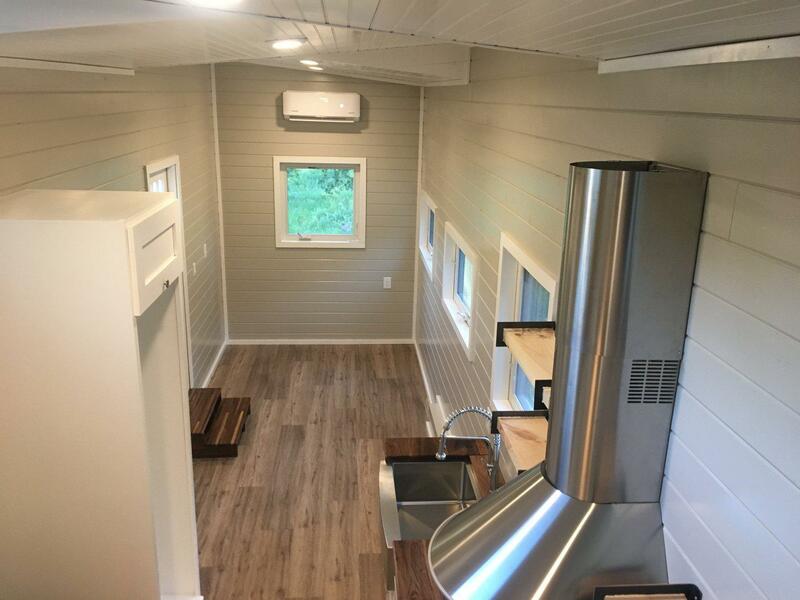 Whether you’re interested in a home for yourself or your family, this tiny abode could be the perfect place to call home. 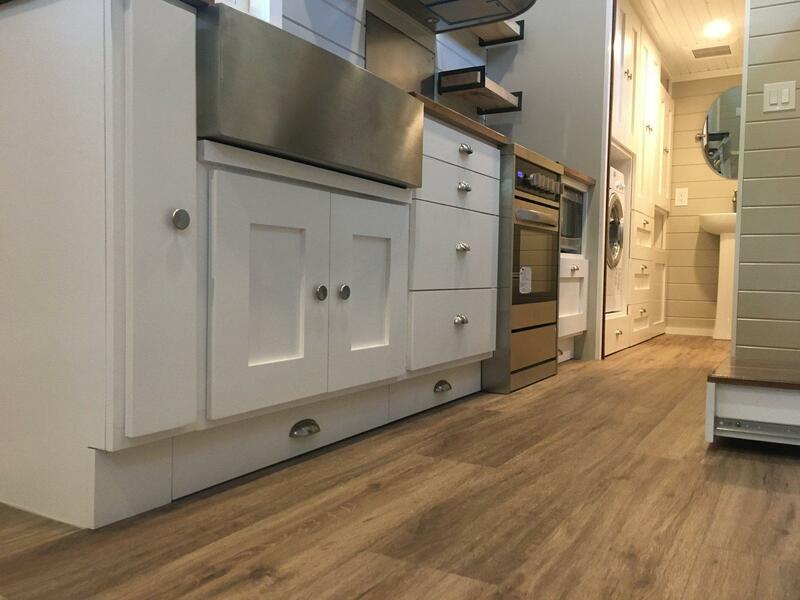 The kitchen area runs along one side of the tiny house and has custom cabinets and stainless-steel appliances. A beautiful vent hood from Italy adds the perfect finishing touch. The lofted ceiling makes this area seem even more spacious. The custom cabinets contrast nicely against the dark wood counter tops. Just past the kitchen is a large open space–perfect for either a large living room or small living room and bedroom. The open living room-kitchen area is perfect for entertaining. 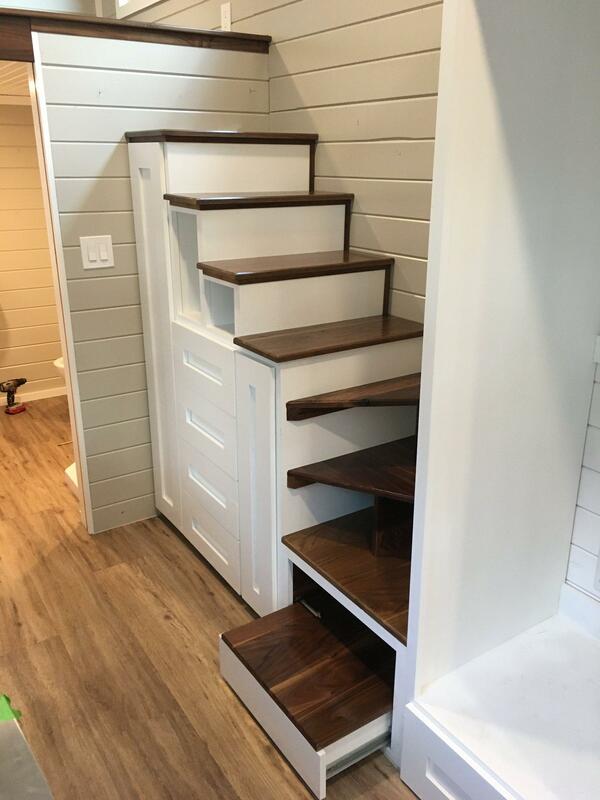 This tiny house bathroom packs plenty of function into a small space. 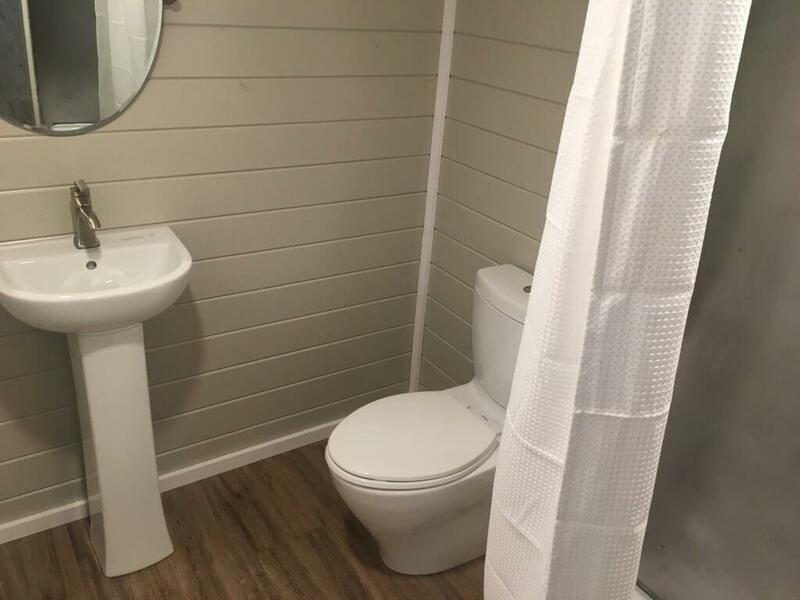 A toilet, small sink, and shower fit perfectly in the end of this tiny home. 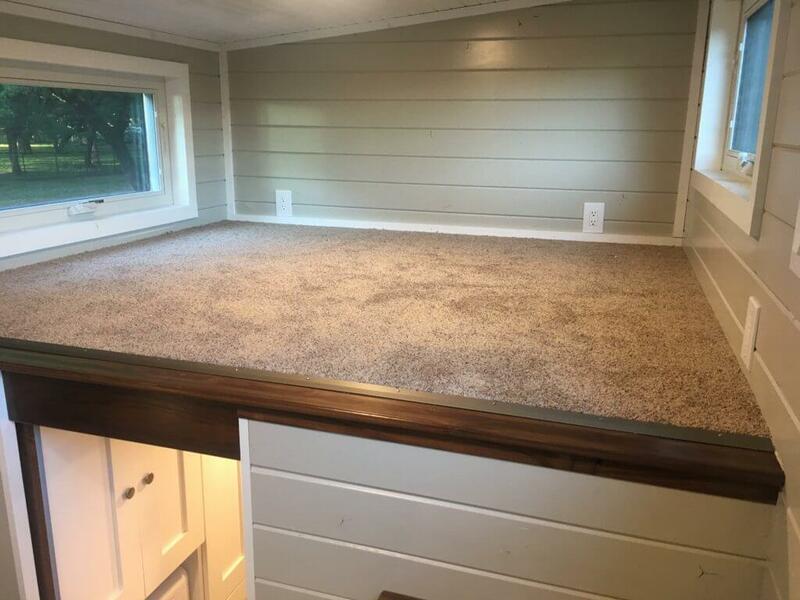 A loft space accessible by a custom storage staircase is large enough to fit a king bed. If you don’t like the idea of climbing into a loft, you can also have a bedroom on the ground floor. A loft space that’s both spacious and cozy. Interested in this tiny house? Contact the builder here for the most up-to-date price and information. 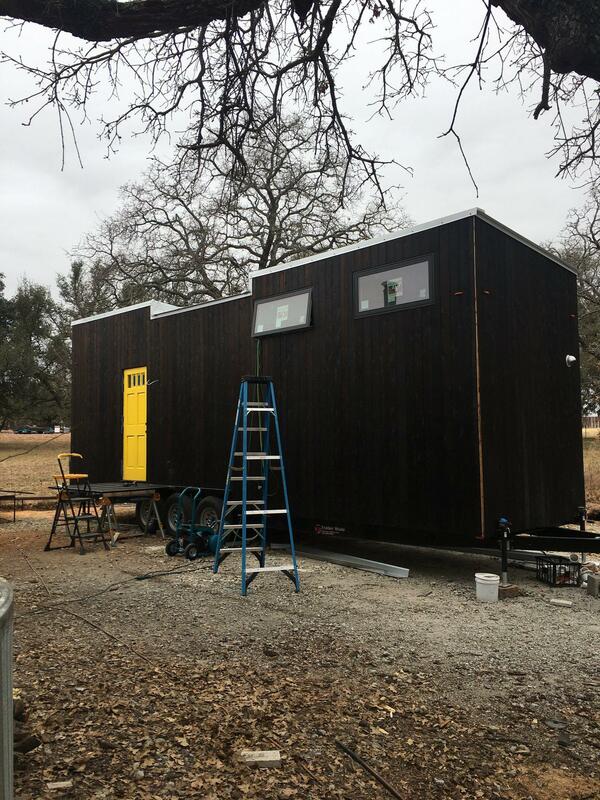 All images are from Small Dwelling Co. and Tiny Modern Homes.